This German border is great for trimming notice boards! Create an eye-catching language themed classroom display to show off your pupils' fantastic work in German. Each border / board trimmer features photographs of iconic landmarks and landscapes of Germany. 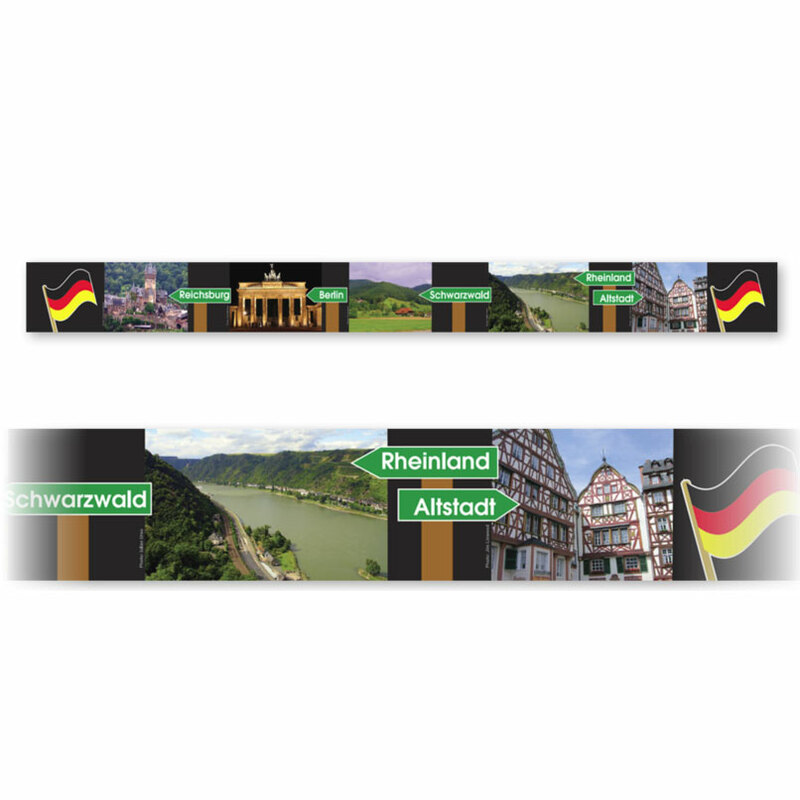 Each pack includes enough borders to cover 11.88m. Each length 73mm x 990mm, 12 per pack.